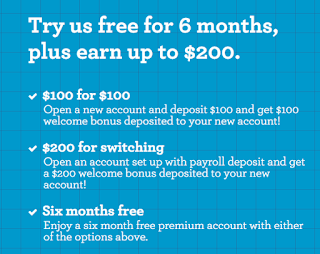 Open a new account and deposit $100 and get $100 welcome bonus deposited to your new account! 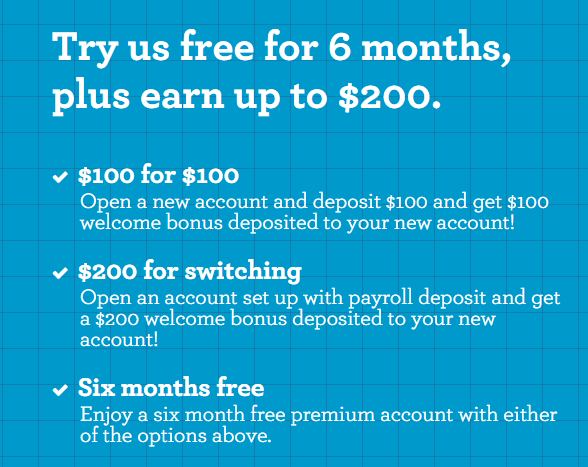 Open an account set up with payroll deposit and get a $200 welcome bonus deposited to your new account! Enjoy a six month free premium account with either of the options above (promotional code WSDG1).